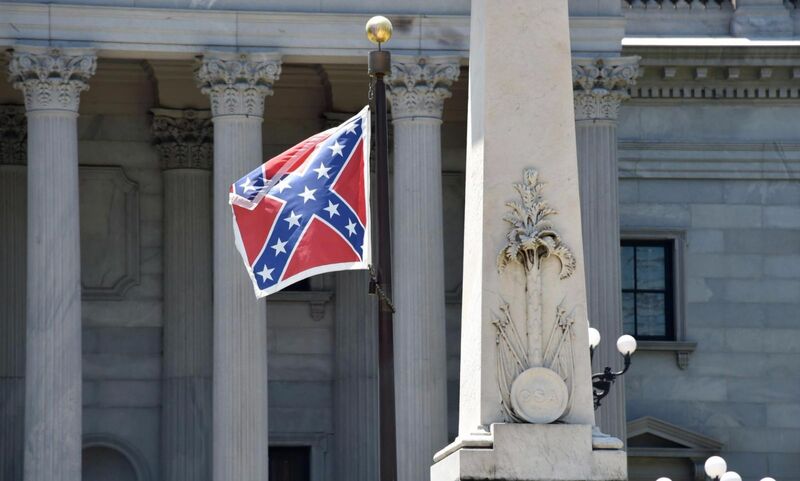 The Confederate battle flag has flown at the South Carolina State House for more than 50 years. Now, after 13 hours of debate and an overwhelming final vote of 94 to 20 in the State House of Representatives, it will be removed. After the massacre of nine black churchgoers at the Emanuel African Methodist Episcopal Church in Charleston last month, the flag was at the heart of a political storm. Republican governor Nikki Haley called for the flag to come down after Dylann Roof, the man charged in the killings, had been photographed several times with the Confederate flag before the attack. The symbol of white supremacy was carried by Confederates in the 1861-1865 Civil War as they fought to keep slavery. It is seen as a symbol of racism and slavery by many while others claim it honors the dead who fought in the war and pays tribute to the South´s heritage. According to Haley’s office, she would sign the bill into law at 4 p.m. on Thursday at the State House. With Haley’s signature the state will have 24 hours to take down the flag from the grounds of the State Capitol. It then will be placed in the relic room of a military museum in the state capital Columbia. “It is a new day in South Carolina, a day we can all be proud of, a day that truly brings us all together as we continue to heal, as one people and one state,” Haley said in a statement after the vote.